Sending incomplete or substandard quality product to market is bad for business. The result can be lost customer confidence, damaged reputations and costly recalls. Random manual sampling and quality checks are inherently unsafe posing a serious risk that out-of-specification products reach end users. Detecting faults early in a process can benefit production schedules and avoid the need to quarantine suspect product in the event of a quality issue. Modern quality inspection systems inspect 100% of product, making it quicker and easier to identify the scale and source of a problem. The Final quality check of a packaged product gives assurance to the buyer that all product quality criteria have been met. There are a range of inspection technologies available. The selection of the correct technology to use will depend on the type of product being inspected, the process application, the quality standards to be met and the defined inspection parameters The table below gives some guidance as to the technologies available and the functions they can perform. Depending on the type of product being produced, one or multiple technologies may be suited to carry out the inspection required. Each Technology has its particular strengths and limitations so you should consult your local METTLER TOLEDO sales team to find the right solution. These three applications are all similar in how they measure the quality of packaged products. All three check that all the expected content components are present. This is either done visually using an x-ray or camera image or using the final packaged weight. Additionally, the visual inspection technologies can detect if the individual items or products are in a good condition. 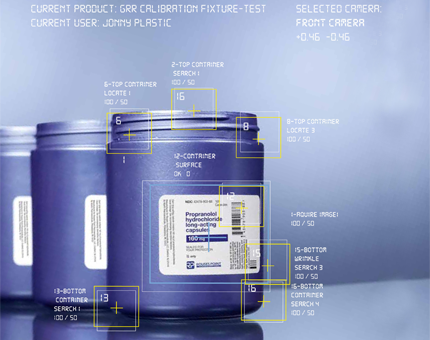 A visual inspection of the final packaging can be completed using high resolution cameras. This can ensure that the package is correctly closed, is undamaged and meets all quality criteria. In addition, labels can be checked for presence and position while label contents can be inspected for correctness including barcodes, lot numbers, best before dates and allergen declarations. 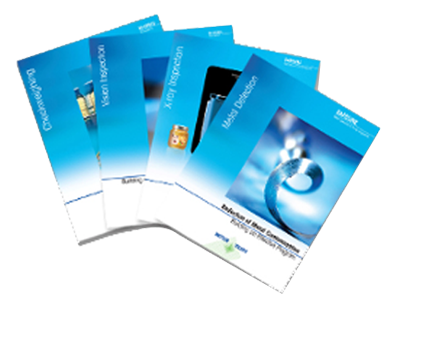 METTLER TOLEDO has created a set of industry guides to explain the steps of setting up an effective product inspection programme. These guides are available for free download. Quality Assurance, in contrast to quality control, is the implementation of quality checks and procedures to immediately correct any failure and mistake that is able to reduce the quality of the interim products at every production step. Thus, the desired high quality of the final product can be planned and assured. The final quality inspection is proof of due diligence and its use is laid down in many food safety and pharmaceutical guidelines, standards, legislation and regulations. Modern x-ray inspection systems can perform a wide-range of in-line quality checks including measuring mass, counting components, identifying missing or broken products, monitoring fill levels, inspecting seal integrity and checking for damaged packaging in addition to contamination detection. Vision inspection solutions are able to perform complete dimensional and cosmetic inspections on package shape and closures as well as carry out full label inspection. Systems are infinitely scalable and can verify package integrity on filled bottles, trays, cases, cartons, kits and other packages. Labels play a key part of packaging and the ability to inspect labels for proper ID, correctness and overall presentation, verifying that barcodes and printed codes are readable and correct will ensure that poorly packaged product will never reach the retail shelf. METTLER TOLEDO is uniquely able to draw on the applications expertise of a global network of industry specialists and a comprehensive range of advanced inspection technologies. We are committed to providing the most appropriate solutions to address the full life-cycle needs of our customers safely and sustainably.